Eric and I took mountain bikes and decided to get muddy and search for the secret road over the Jura mountains and the savage Col du Sac down to the tiny Menthières ski station on the other side. 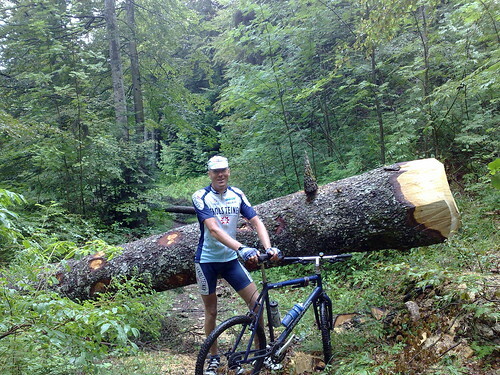 Lousy weather messed up a larger group ride, so Eric and I took mountain bikes and decided to get muddy and search for the secret road over the Jura mountains and the savage Col du Sac down to the tiny Menthières ski station on the other side. I have only cycled (and pushed) to Col du Sac with a load of snow over the last stretches. But the previous visit, Eric and I had seen a little sign to Menthieres. A project! 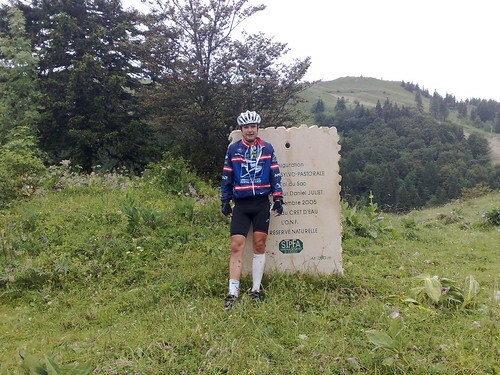 The ride up from Farges is a classic Jura ride to no-where – completely deserted for a couple of hours – great. Nearing the top, the paved road ends, and it is more rugged. This is mountain bike territory. After reaching the Col sign (follow signs to Chalet du Sac) it was time to descend the other side. I knew my friend – and fellow Col hunter – Bast (his excellent blog is here), was also interested in finding this road (path). It had to be somewhere. We got a little confused at first missing the path down and following a road that took us to the top of a steep ski run – Eric of course wanted to fly down the ski piste! We had missed the main path down. But a little searching and we found the secret path. From Menthieres a nice quiet ride back to Geneva. Over 80 kms, a nice big climb, and we found the secret road! From the opposite direction – from Col de Menthieres – the road up to Col du Sac starts EXACTLY at the big Col de Menthières sign – it is a little unpaved farm road. 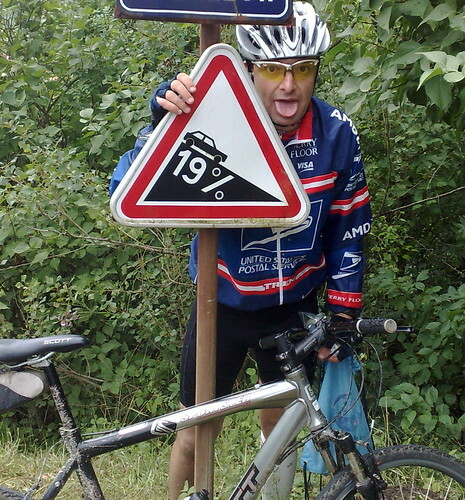 You will soon see little signs to “Chemin de la Corne” – follow it all the way to Col du Sac – this is not a path for a road bike! Riding back from Bellegarde we passed two cyclists, I suddenly realized it was my two cycling partners Martin and Barry. I didn’t recognize Barry as I have never seen his rain gear 🙂 good to see my pal wet! There is nothing quite like cycling where few people have been before – although it normally happens to me as a result of getting lost! What a great getaway. Good for you still getting out there on those nasty days. As we see… it turned into an even better adventure. Hope the calf is feeling better.